As a global technology leader, Celestica operates in 29 locations around the world in Asia, the Americas and Europe, with a range of customers in the Advanced Technology Solutions and Connectivity and Cloud Solutions markets. 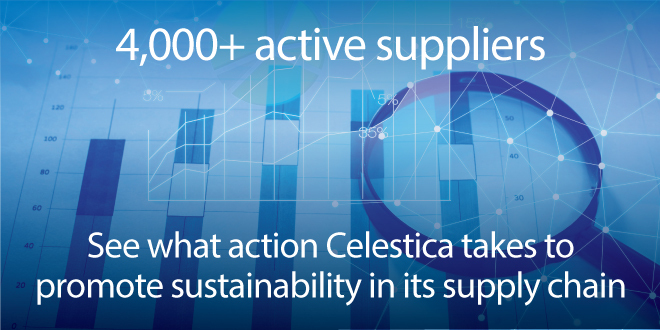 Employing approximately 24,500 people, Celestica has a global network of more than 4,000 active suppliers, whom it encourages to strive for greater sustainability. Tweet This! 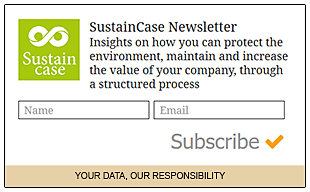 This case study is based on the 2016 Sustainability Report by Celestica published on the Global Reporting Initiative Sustainability Disclosure Database that can be found at this link. Through all case studies we aim to demonstrate what CSR/ sustainability reporting done responsibly means. Essentially, it means: a) identifying a company’s most important impacts on the environment, economy and society, and b) measuring, managing and changing. In its 2016 Sustainability Report Celestica identified a range of material issues, such as anti-corruption, occupational health & safety, diversity & equal opportunity, forced or compulsory labour. Among these, promoting sustainability in the electronics supply chain stands out as a key material issue for Celestica. Stakeholders must be consulted in the process s of identifying a company’s most important impacts and their reasonable expectations and interests must be taken into account. This is an important cornerstone for CSR / sustainability reporting done responsibly. What actions were taken by Celestica to promote sustainability in the electronics supply chain? Celestica informs its suppliers about the Electronics Industry Citizenship Coalition (EICC) Code of Conduct and uses approved EICC risk assessment methods and tools to monitor major suppliers’ management systems with regard to the EICC Code’s requirements. Conforming to the EICC’s mandate to better the electronics supply chain, Celestica makes sure it partners with socially responsible suppliers. Celestica requires suppliers on its Major Supplier List (MSL) to complete and submit Self-Assessment Questionnaires (SAQs), identifying risks within their operations. SAQs are completed by Celestica’s major suppliers annually and ask more than 100 questions regarding key elements of labour, ethics, the environment, and health and safety. The questionnaires also cover suppliers’ management systems that are used to identify, manage and monitor each of these elements. 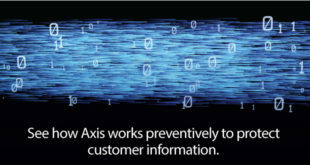 Celestica manages all its suppliers through its Supplier Responsibility Management System. By means of this system Celestica assesses each supplier’s level of risk. In addition, in 2014 Celestica updated these activities, with the Vendor Verification Visit. Every supplier on Celestica’s Major Supplier List is expected to complete an EICC Self-Assessment Questionnaire, support a Verification Visit and/or provide a VAP (Validated Audit Process) report if one is available. Audit findings are tracked through a Corrective Action Plan (CAP) and can result in removal from Celestica’s Preferred Supplier List (PSL) if appropriate corrective actions are not taken. Disclosure 308-1 New suppliers that were screened using environmental criteria does not correspond to any SDG. Disclosure 308-2 Negative environmental impacts in the supply chain and actions taken does not correspond to any SDG. Disclosure 412-1 Operations that have been subject to human rights reviews or impact assessments does not correspond to any SDG. Disclosure 412-3 Significant investment agreements and contracts that include human rights clauses or that underwent human rights screening does not correspond to any SDG. Note to Celestica: With each case study we send out an email requesting a comment on this case study. If you have not received such an email please contact us.